Welcome to the second edition of ‘Under the Microscope’. 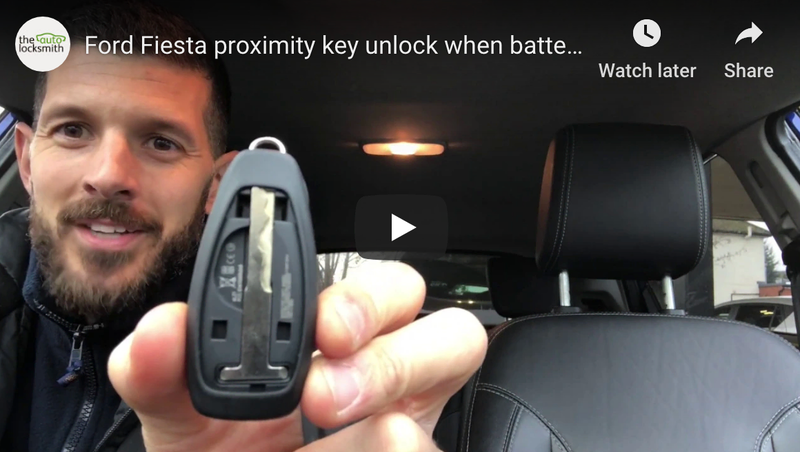 In our last article we reviewed Renault key programming tool and saw True Code crowned as the number one product for coding replacement Renault keys and cards. This week we are taking a closer look at three of the best Tibbe picks on the market. We will be comparing the picks side-by-side to see which one comes out on top as the best tool for Ford Tibbe lock picking. To help put things in context let’s start with a quick explanation of what a Tibbe lock is and how it works. The Tibbe lock has been used on Ford vehicles for the best part of two decades and can also be found on many Jaguars. The lock is made up of six rotary disks that need to be correctly positioned allowing a side bar to slot into position. Only when all six disks are correctly rotated can the side bar be dropped into position, allowing the lock to be freely opened. The rotary disks are forced into position by a matching key, known as a Tibbe key. I have used all three of these tools and have found some better than others. Each tool has its own pluses and drawbacks so I will discuss these in more detail with a breakdown for each pick. The Lishi pick has been nicknamed the ‘Caterpillar pick’ because of its appearance with multiple legs. These “legs” are levers that need to be individually rotated to manipulate the locks disks into place. There will always be at least one ‘number four’ disk that needs to be located and used to turn the lock. Any positions containing a number four disk will be firm and offer no movement in the lever. To pick the lock firm pressure should be added to one of the number four positions in the direction the lock is to open. This is essentially making a tension tool ready to open the lock once all other positions are successfully picked. The other positional levers need to then be turned and clicked into position until a larger movement can be felt. The pick is priced well at around £80 and provides a super quick method for opening Ford vehicles fitted with Tibbe locks. Once the lock is picked open the lever positions can be gauged to obtain the cut depths for making a key. The individual tips of the Lishi pick are silver solder welded making the tool fairly durable. Having said that, at times the Lishi is not quite robust enough for applying the pressure required to open some of the more tougher Transit locks. Overall the tool works well for both opening and decoding Tibbe locks, although it’s a tad disappointing the pick will not work with all Jaguar locks since it only has six positional levers. One line summary: Great for beginners as really easy to get the hang of, although has its limitations with some tougher locks. By far the least sophisticated of the three tools is the Souber Tibbe pick. The Souber is a very simple pick that is designed to quickly open locks found on most Ford vehicles. Whilst it provides an easy “no thrills” method of lock picking, it is unable to decode the lock to supply the necessary information to cut a key. Soubers Tibbe is the cheapest of the three picks, but this is reflected in it’s basic design that looks somewhat resemblant of a Tibbe key. The tool will only open locks in one direction, meaning two picks are required, one for clockwise and another for anticlockwise. These picks are great for picking ignition barrels and is the only one out of the three that I would actually recommend using in ignitions. One line summary: Quite tricky to get to grips with – Good value for money – can not be used to decode lock – ideal for ignitions. Some might say we have saved the best for last. In my opinion the Safe Ventures Tibbe pick is by far the most superior tool available for opening and decoding Ford locks (This is just my subjective view and we would love to hear your experiences in the comments below). It’s worth mentioning it can also be used on the eight disk Jaguar locks. The pick is well manufactured and offers precision decoding. I have used Safe Venture picks for over five years and can honestly say my SV Tibbe is the best tool in my bag! It’s not the cheapest at £160 but can be paid for in just one job (as long as you are not the annoying locksmith who is doing Ford lost key replacement for £40). Each Ford model seems to have a unique feel with the SV pick and the technique for picking needs a little practice, but once mastered you can be unlocking Fords in as little as 20 seconds – which is always impressive if the customer is leering over your shoulder. A real bonus of the SV pick is the additional rod that connects through the centre and enables the pick to be used on newer locks. I have found some Mondeo’s require extra pressure and are a little tougher to pick than other models. Once you know what to feel for, picking the lock is not a problem, but the extra pressure does take its toll on the tip. There is a technique for removing the pick from the lock that needs to be mastered to avoid any problems. One line summary: A truly awesome pick that is very effective once mastered – covers all Ford and Jaguar locks – needs to be used with care – faultless decoding. Lishi Tibbe pick Lishi’s pick is well built and is easy to operate with its six levers, although not quite strong enough to open all locks. The tool is also fairly decent and accurate for decoding. Souber Tibbe pick A fine tool for picking ignition locks but too fussy for every day picking of door locks. Will not decode open locks and can only be used to pick the lock open. Safe Ventures Tibbe pick The Safe Ventures Tibbe pick makes opening Fords and Jaguars a simple task. Its great heading out to a job and being confident you can pick the door open in 20 seconds. It’s a real shame the same cant be said for other car manufacturer picks. Once the technique is mastered the pick should last a good few years. The Safe Vetures Tibbe pick has made me a lot of money over the years and still stands out as one of my favourite tools. I have seen a few new Tibbe picks emerge onto the market in recent months, all of which appear to be a modified version of the Safe Ventures pick. I have not tested any of these new arrivals, but when lock picking is as good as perfect with the Safe Ventures Tibbe, why do I need to bother! Share your thoughts and take our poll to vote for your favourite Tibbe pick, and if you have the time share your experiences in the comments section below. The votes are in and counted and we can now announce the winner of best Tibbe pick 2013. With a staggering 75% of the votes its no surprise the crown goes to Safe Ventures with their 2 in 1 pick and decoder. I agree with you!!! although I can’t really speak for the other products you have discussed as I have only used the Safe Ventures tool, which has never let me down or given me a reason to look else where…. If only they could come up with a pick of the same standard for HU101.. I have used the SV pick also for the last three years with great success. But the Souber pick is my first choice for openings. I even keep them in my pocket (always keep a blank on same keyring to reset tumblers when lock is being stubborn). SV pick never fails, as you say a bit pricy but pays for itself in no time. I’ve had the Lishi pick but stays in the drawer. Hi Simon cheers for commenting. You wouldn’t be the first person I know to get the SV stuck in a lock 😉 There is a definite technique for removal. Its kind of hard to describe, but you need to push the collect (the part that you rotate) to the front of the scale and whilst holding forward rotate it left and right whilst pulling back with the other hand. This manipulates the disks out of the way and enables you to easily remove the pick. Perhaps someone from Safe Ventures could comment here to explain a bit better than me. Always use the SV very quick to pick and always accurate even with the most worn locks! The grub screw under the handle needs a little tighten every few months as the tip tends to work loose generally after a few stubborn openings that require a little more tension. It can be a little tricky to remove from some locks, Marks method works for me, a gentle pull and rotate the discs slightly and you feel the pick extract! I do have the Lishi pick think I’ve used It twice but never decoded with it. The Souber I’ve never used so couldn’t comment, but I will confess to picking a couple of ignitions with the SV when I’ve had to! Cheers for the comments Nathan. That’s interesting, I’ve never used the SV in an ignition for fear of getting it stuck. Does it always come out easily enough? I’ve only ever had to pick the ignition when there’s a different key to the door, both occasions I picked to position 2 and removed the barrel so I’ve never had the experience of removing the pick with the barrel in situ, wouldn’t fancy trying it if I’m honest!! Both Times were Focus’s just for info. I’ve been using the caterpillar to pick and it is always quick and easy, although I don’t think it’s brilliant for decoding. Not had the pleasure of using the SV but from what I’m reading maybe it’s worth a try! QUOTE: Never been quite sure how to work out the exact number of potential combinations, maybe someone smart could leave a comment to explain. The six cut Tibbe has 2330 differs. Good work Terry! Whats the equation to work that out?